If you have a static lifestyle, if you sit down a lot, if you want to have better mobility and flexibility, the Stretching Strap is for you. Experience the most comfortable and convenient way to improve your flexibility and overall fitness level. All stretch strap is premium quality design for any fitness and physical therapy use. With our High-Quality Stretching Strap with Loops, you can stretch freely without fear of injury. 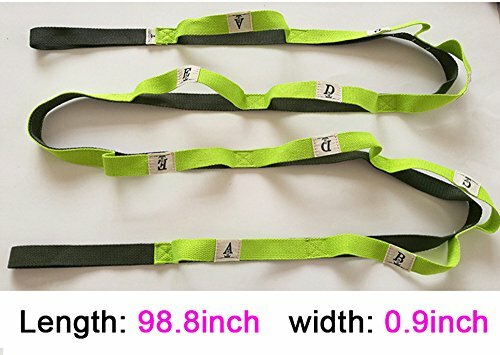 Why Did You Choose This Yoga Stretching Strap? Extra long stretch strap facilitates a safe and effective full body stretch. Perfect for yoga, Pilates, ballet, CrossFit and physical therapy, warming up with a stretch strap helps to prevent injuries and enhances muscle recovery. 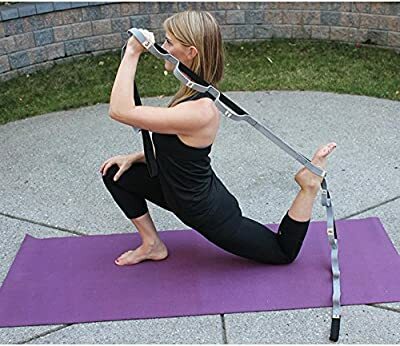 Stretch strap provides additional stability during unassisted stretches and poses. Highly effective for athletes, dancers or for physical therapy, the stretch strap improves flexibility and increases range of motion for better performance while reducing the risk of injury. Ten integrated loops are large enough to accommodate most athletic shoes for ultimate convenience. Loops also provide comfortable handholds the entire length of the strap for stretching to your personal max.